Be it through social media, a conversation with a loved one or perusing the reams of photos you’ve taken, it seems everyone gets a little reflective on the past 12 months when a new year approaches. I’m not writing this post to brag, get pity or publicise my private life, but I think it’s natural and helpful to reflect on the year and also kinda nice to have this to look back on in years to come! I started the year, if I’m honest, with little direction for 2015. I was in my first job straight out of uni that I didn’t enjoy, I was sleeping on a camp bed in my step sister’s bedroom and I was still licking my wounds from the sour sting of heartbreak. Fast forward eight months – I started a new job, I moved out of my step family’s home and I’d found someone that makes every day that bit better. A lot can happen in a year or, so it seemed for me in 2015, just eight months! With the good comes the bad, something which I don’t need to feel needs to be lingered on but I’ll briefly touch on something. Removing negative people from your life is the best thing you will do no matter how hard it is – I did and I couldn’t be happier for it. It makes space for love and happiness, things that are so so important and it’s a crucial learning curve to know you can move on from times where you felt horribly unhappy. You can do it! 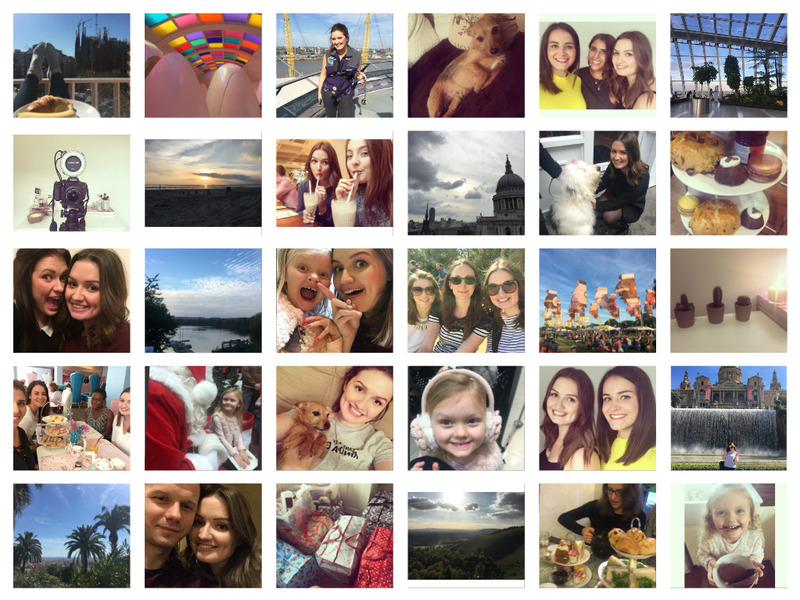 On a much happier note, personal 2015 highlights: A sweaty trip to Barcelona, precious days with my best friends and sisters, exploring new places, being invited by Benefit to the Rollerlash launch, visiting Sky Garden, making new friends, afternoon tea at Sketch, climbing the O2, any time spent in Brighton (can I live there please?!) and of course moving out and getting a new job, woop woop! On a more relevant note in terms of why a lot of you are reading this, I’m really proud of the progress I’ve made with my blog. Being contacted by brands for collaborations is something I only dreamed of a year ago and I’m so happy with how things are moving. I uploaded my first YouTube video back in July, which was frankly terrifying and I knew some people would mock me, but I’ve enjoyed challenging myself in a new way and have a newfound love for video! This is always going to be one of those posts where I remember something else I want to add after publishing but I hope to look back on it fondly. This year holds new and exciting challenges and hopefully some more trips away than I managed in 2015! But most importantly… Must. Learn. To. Drive!!! Happy New Year! What is your fondest memory of 2015?